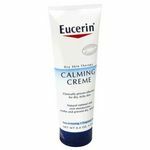 I've struggled finding a good creme for my Eczema. I've tried so many brands and perscription medicine that I just about gave up. My dad has skin problems and I bought him the same brand just a different lotion and it worked great for him. I gave it a go and I fell in love with it. It helps me with the dry itchy skin. I would layer it on and put night gloves on and by morning of start to feel better. I wash my hands constantly so I really really need something to moisture them. It doesn't have any smell to it which is good. Its not greasy. It works fast. I highly recommend this brand and product. Works so well for my son's skin! really keeps his skin irritations away! This product works amazing fir me and my kids, our eczema patches were gone within a few uses of this, I would definetly recommend this to everyone, most eczema creams are heavy and greasy and don't absorb well, this one is perfect and my son with spd didn't even notice or care that it was on him. I'm very sensitive to perfumes and fragrances so this is a very great product. I used it all day long. It's absorbs fast and is non greasy. Great for rashes that won't go away. My children all have sensitive skin and develop rashes easily. 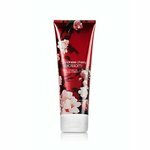 This lotion relieves rashes within 24 hr. I also use it for my dry skin. I suffer with really bad eczema outbreaks from time to time. In my many trials of products I've tried this is one of worst. It did nothing for lasting itch relief, honestly it did nothing to even phase my itchyness. And it didn't provide long lasting moisturization. It leaves you feeling like you used lard on your skin. Not something i enjoyed. My entire family has always loved the Aveeno brand. My children both suffer from eczema, and were given this by their pediatrician and dermatologist. I was given samples of this at my last dermatology appointment for my dry, cracked feet. 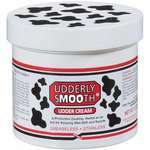 It is strong enough to tackle the most severe dryness, while being gentle enough to apply to small children. Aveeno will continue to be a family favorite. 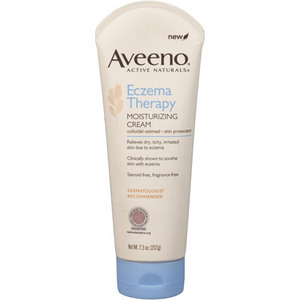 Works well for my son My son has eczema and I was so happy to find Aveeno eczema therapy moisturizing cream. I have used other Aveeno products before, for her and my other children, so it's a brand I trust. The medicine/cream my daughter was using (by prescription) worked well but the doctor recommended that she stop using it because it wasn't meant for long-term use. I quickly went to the store to look for an alternative (her flare ups don't take long) and I found this product. 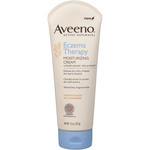 Aveeno eczema moisturizing cream was the first product we tried and it is working well so far. It keeps her eczema under control and it's safe for her to use every day. As well as having eczema, my son has very sensitive skin and this lotion is very gentle and doesn't irritate it. The cost of this cream is reasonable, I would pay more if I had to because of how well it works. The amount of cream you get in the bottle is generous. I would definitely recommend for anyone with dry skin. It's expensive. Let's just be honest. I'm not fond of paying close to $10 for a tube of lotion I'm going to smear on a 2 year old. But it works. For real works. My son gets these huge patches of dry skin where his pants or pj's rub on his skin. Plus the Wisconsin winters really do a number on his skin, and everyone's. There was a huge improvement in his skin in just a couple days. 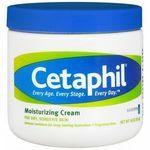 We use the oatmeal bath and then use this cream immediately after the bath. I don't regret spending the dough.